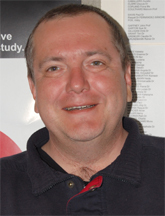 Dr Mathias’ main research interests focus on comparative regional studies and regional development in Europe. In his recent research work he has investigated the changing nature of welfare regimes in regionalised settings, including Germany and Sweden. Secondary research interests focus on federalism and executive power, both in European federations and the USA.